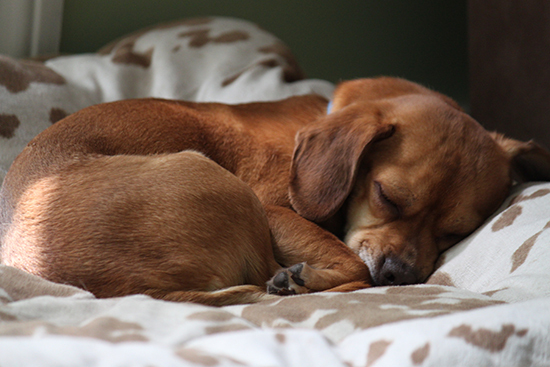 Many dogs like having a small bed or something soft where they can “dig” out their nest. If your dog stretches out to sleep, they feel safe and secure. And, probably warm.